Swiss watchmaker Romain Jerome is always quick to realise a new opportunity to commemorate an important occasion with a new conceptual watch. This time it’s the Statue of Liberty. It’s been 125 years since the Statue of Liberty — a gift from the French to the United States to celebrate the 100th anniversary of the Declaration of Independence — was first erected in New York Harbour. 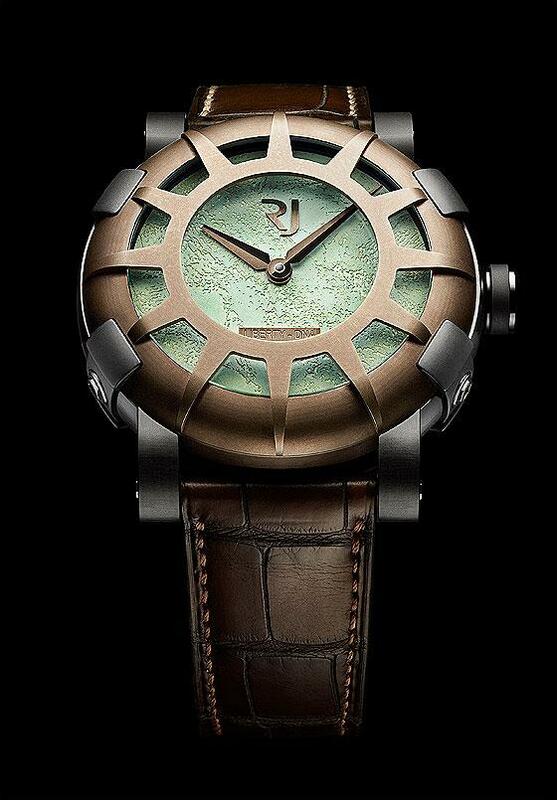 Romain Jerome has created a new watch, called Liberty DNA, whose dial contains actual fragments of the statue. The eight-year-old Swiss brand, based in Geneva, collaborated with The Statue of Liberty-Ellis Island Foundation, a non-profit organisation devoted to raising funds for restoration of the Statue and Ellis Island, and the Gold Leaf Corporation, which oversees the preservation and use of historic Statue of Liberty and Ellis Island artifacts, in developing the new timepiece, the latest in its “DNA of Famous Legends” portfolio. The watch is a limited edition of 125 pieces, one for each year, and features a bronze bezel with 12 “spikes” reminiscent of those on Lady Liberty’s crown. The idea is that over time, the bezel will acquire a patina like that of the statue itself. 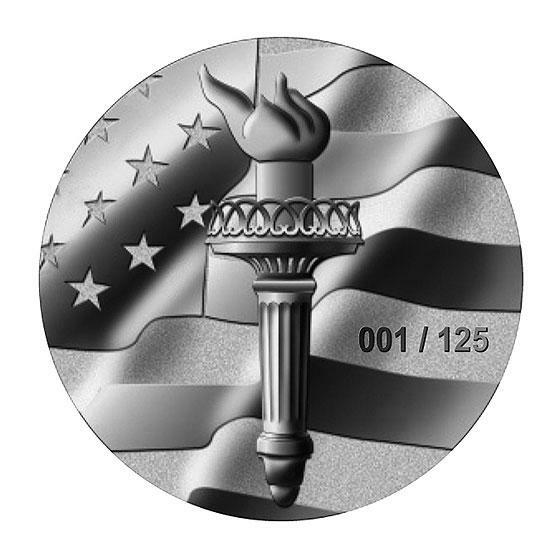 This time the “DNA” is particles of oxidised copper taken from the Lady Liberty and incorporated into the dial, which has the same greenish hue of the statue. The faceted hands are bronze coloured and the strap is of brown alligator leather. The caseback features a medallion style design depicting the flame of liberty lighting up the stars and stripes of the American flag. The watch retails for $14,900. Other Romain Jerome DNA watches include the MoonDust-DNA collection, using actual lunar dust in their dials, and Titanic-DNA Steampunk models containing metal particles recovered from the Titanic.